Our new high cube 40 ft sea containers provide extra room in both height and length, accommodating to larger and taller items and goods. 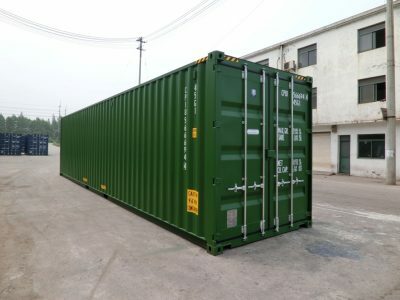 Standing at 9.5 feet (approximately 3 metres) in height and 40 ft in length, these sturdy, reliable, and affordable shipping containers are ideal for transporting and storing large goods. The containers are built with corten steel, and are vermin-proof, weatherproof, dry, secure, and guaranteed to stand for years.